The most often stated reason for not traveling often is that it simply costs too much to travel. There are so many ways to save money on summer travels and Groupon.com is ready to help you cut the cost of travel this summer! Groupon offers fabulous discounts on hotels, rental cars, amusement parks, and even airfare. You can plan your entire vacation through Groupon by starting at this Expedia.com link. Use Groupon to explore the international landscapes of Europe, visit historical cities across America, take a relaxing cruise through the Caribbean, or sip exotic cocktails under coconut trees on a sandy beach in Central America. There are so many wonderful places across our planet and I just know there is a place you've been dreaming about seeing. Check off a couple of bucket list items and with the savings you can get through Groupon.com, you can probably add a few more must-see places to your list! Groupon can even help you with savings at retail websites to get what you need for your trip, like luggage, clothes, shoes, and more. 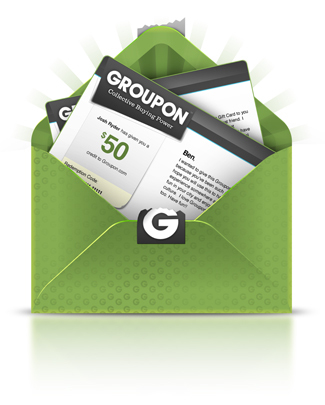 No matter where you're heading this summer, start your journey at Groupon.com for great savings!